Experience the spectacular Hauraki Gulf, Waiheke Island and stunning Auckland skyline from the air. As you are whisked across the harbour between Auckland City and Waiheke, enjoy a bird’s eye view of Waiheke, Rangitoto, Browns & Motuihe Islands before landing at EcoZip Adventures. Helicopter departure from INFLITE heliport, Mechanics Bay to EcoZip Adventures. 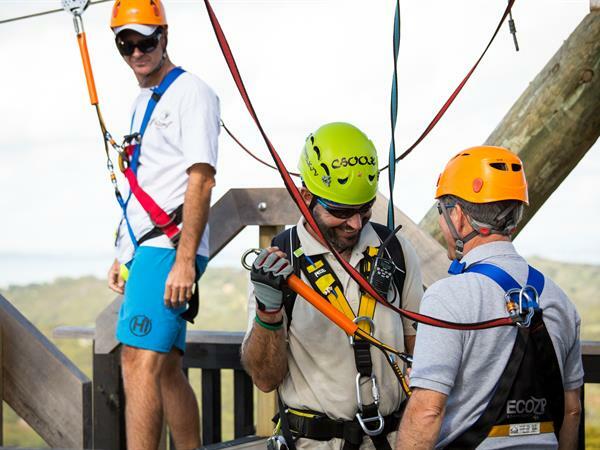 Enjoy an action packed EcoZip tour.